ENGLISH musician Lloyd Cole is in the country with his new anthology The Lloyd Cole Songbook: 1983-1996. In 2015, the release of Lloyd Cole and the Commotions Collected Recordings 1983-1989 led to a resurgence in acclaim for the artist. This prompted the release of The Lloyd Cole Songbook: 1983-1996, which spans the classic period of the Commotions, along with his subsequent and substantial four solo albums and a 'lost' fifth album. The singer-songwriter will perform songs from throughout the period showcased in this anthology on his international tour, The Retrospective. 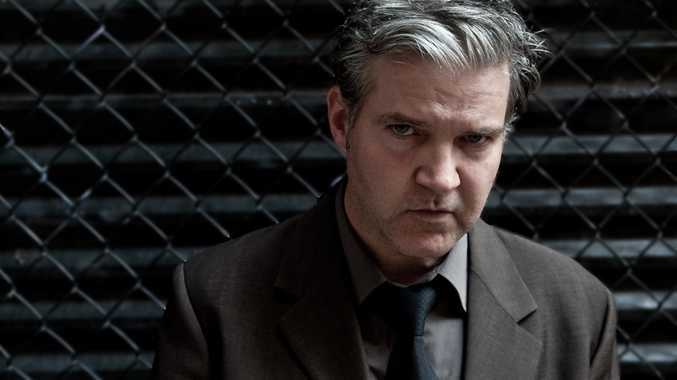 We asked Lloyd Cole for the stories behind three songs he will play in the show. Cole said he started writing this song and Perfect Skin one weekend in late 1983. "I took The Commotions' port-studio home, a portable device for cassettes with multi-track recording ... we must have just got our publishing deal," he said. "It was a wonderful weekend because it was the first time I knew I was writing something that was going to be successful but I still had no idea what I was doing." "When we were completing the Rattlesnakes tour, our success took us out of the UK and we went to Belgium, Paris and Hamburg," he remembered. "In Paris, I had this song I was writing called Perfect Blue. The band went out drinking and I stayed in the hotel trying to finish this lyric; and I was almost finished when, at around 3am, there was a huge bang in the room next to me and the TV came up full volume, and I could not get any more work done. I had to get the night porter to open the door of the room next to mine and I found my manager, who was the same age as us, lying on the bed fully clothed, unconscious; he had fallen asleep with the TV at full volume." "This is one of the few songs I remember why I wanted to write it. I can't remember why but I met (American artist) Natalie Merchant from 10,000 Maniacs but we had a beer together and then we go to talk about being famous," Cole said. "She started to tell me the story about how awful it was to be famous, and how her fans would climb the tree outside her house so they could look into her bedroom window, and I could not stop laughing, but she wasn't meaning for it to be a joke and I thought 'yeah, I'm going to write a song about people being earnest'." Lloyd Cole's The Retrospective plays QPAC's Concert Hall on Tuesday. For more information and tickets to go the QPAC website.